Clair (Red) Barton Biggs returned to his heavenly home on Tuesday, April 9, 2019 at the age of 89. He was born January 30, 1930 in Kirtland, New Mexico to Jesse Biggs and Helena Elizabeth Bloomfield Biggs. He proudly served in the Army during the Korean War. He was employed at El Paso Natural Gas Company for 29 years and after he retired, he managed the Perins Peak Trailer Park in Durango, Colorado from 1986 to 1994. When he moved to Farmington, he enjoyed working in the cannery and delivering supplies to those in need. Our dad loved gardening and there was nothing better than a fresh picked tomato off the vine. He loved to plant all kinds of flowers around the yard. He also enjoyed fishing at Electra Lake. He was a friend to everyone and loved to help in any way he could. He loved the church and the opportunities he had to serve. He married Margaretha (Marga) Johanna Stegwee on November 21, 1952 in Germany. They were later divorced. He married Leita Marie Joyner on October 6, 1976. Clair was preceded in death by his infant son, Jeffery David Biggs (age 3 days), his son Darrell Lee Biggs, his wife, Leita Marie Joyner Biggs and his parents and siblings. His survived by his daughters; Patricia Andrea Mitchell (Doug), Rose Marie Cole (Randy), Kimberly Ann Mendoza, and Denise Randall. Also survived by his sons; Steven Robert Biggs and Donald Ray Biggs along with 8 grandchildren, 19 great-grandchildren and 2 great-great grandchildren. What a legacy. Funeral Services will be held on Friday, April 19, 2019 at 11:00 am in the Kirtland LDS Chapel on 473 Road 6100, Kirtland, New Mexico. 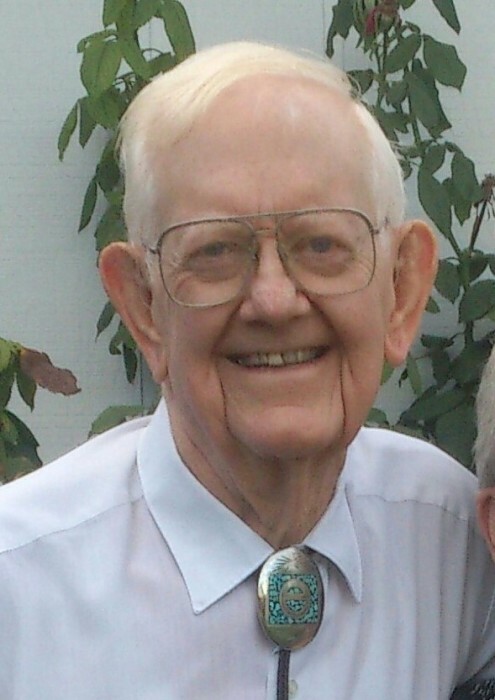 There will be a viewing at the Brewer, Lee and Larkin Funeral Home at 103 E Ute Street, Farmington, New Mexico from 7:00 PM to 8:00 PM on April 18, 2019. There will also be a viewing at the Kirtland Chapel before services from 9:30 AM to 10:30 AM. Interment will be following the service at the Kirtland/Fruitland Cemetery on RD 6580, Kirtland, New Mexico. We will be honored with a Military Salute and the releasing of doves at the cemetery.